Today was so hot! We were desperately searching for ways to keep cool, so yet again it was back to basics and time to get creative! A bowl full of cool water, a cloth, some cups in the cooler box full of water and we had some fabulous water play stations! Ethan loves to play in the water and was especially happy to be getting wet today. 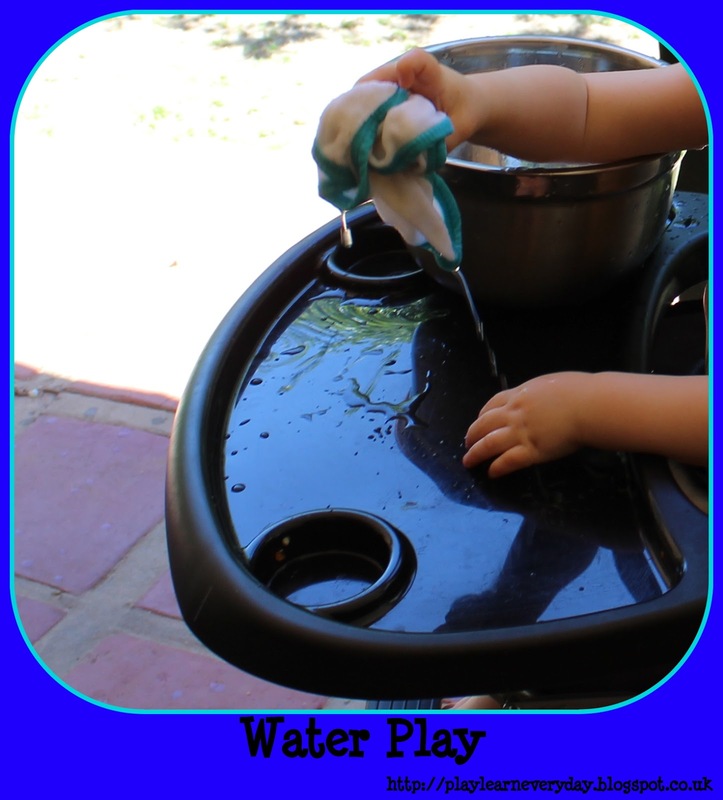 He was pouring the water over himself, using the cups and the cloth. He was pouring and squeezing and spilling away for ages. Ethan has definitely developed a deeper understanding of the properties of water whilst we've been away, all a part of his Knowledge and Understanding of the World.